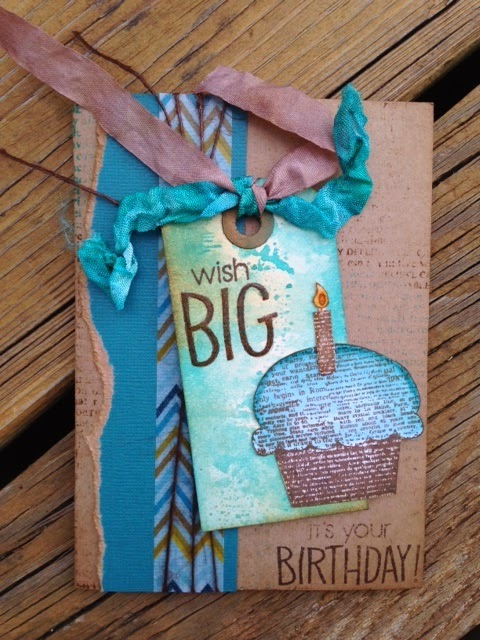 They're all pretty simple- lots of Distress Ink on tags & Crinkle Ribbon and some stamps from Hero Arts. this first one has a touch of stickles, some glittery thread and glittery heart shaped bling :) Cuz girlfriends deserve glitter ;) Hope your birthday is fabulous Becky! I will miss our annual girls night in celebration this year, but hope you're celebrating lots even without me! This second card is pretty similar... but none of the glitter or bling, so it's got a more masculine feel. And this last one is the same basic layout but with some fabulous bursts of orange. 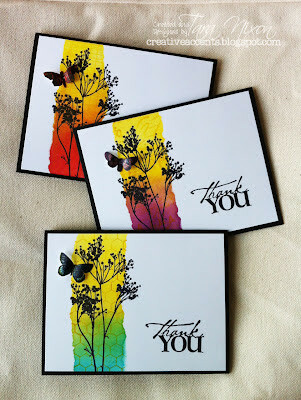 Three simple cards, but with some inky fun colour! Oh I like them all and I'm glad to see you creating again!! WOO!! hugs!